With hopes to have a fleet of autonomous taxis ready for the 2020 Olympics, Japan is doing the world’s first test run in the streets of Tokyo. Taking passengers between the Otemachi and Roppongi districts, the self driving taxis have been doing four round trips per day on a busy stretch of road. Although the distance between the destinations is only three miles, the cars have been passing with flying colors and the volunteer customers are impressed. The cars were developed by Japanese technology firm ZMP and cab company Hinomaru Kotsu. 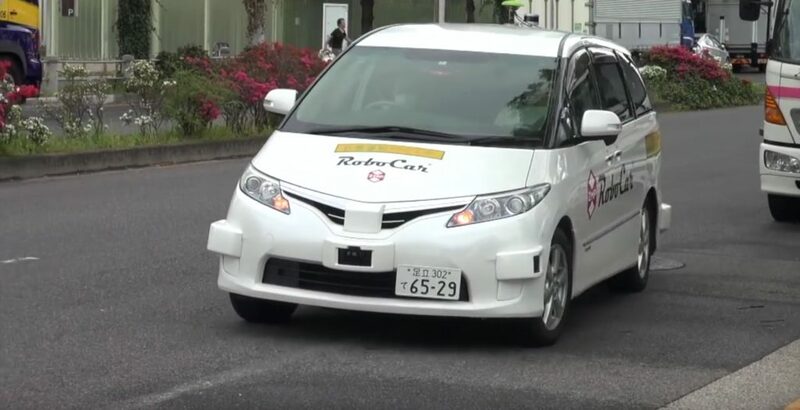 The minivan style taxis are based on Toyota’s Estima Hybrid and incorporate various sensors such as a stereo camera to recognize surroundings and avoid objects. An onboard computer helps to navigate the roads. There is a tablet installed in the vehicle so customers can track their route and mark when they are at their destination. The taxi can also be monitored remotely. For the tests, a human driver was present to ensure safety. The volunteer passengers did everything via an app from requesting the ride, paying the fare and unlocking the doors. The three-mile trip cost about $14. While the Japanese companies are claiming that this is the first test run of autonomous taxis, a self-driving taxi service launched in a very limited area of Singapore back in 2016. There are more tests scheduled for later this year. The plan is for the taxis to transport passengers between Haneda airport and Central Tokyo which is about 14 miles. Over 1500 people have already applied to be passengers. Companies like Uber and Chinese rideshare Didi Chuxing have also been working to get autonomous taxis onto the roads. Uber has recently partnered with Toyota. 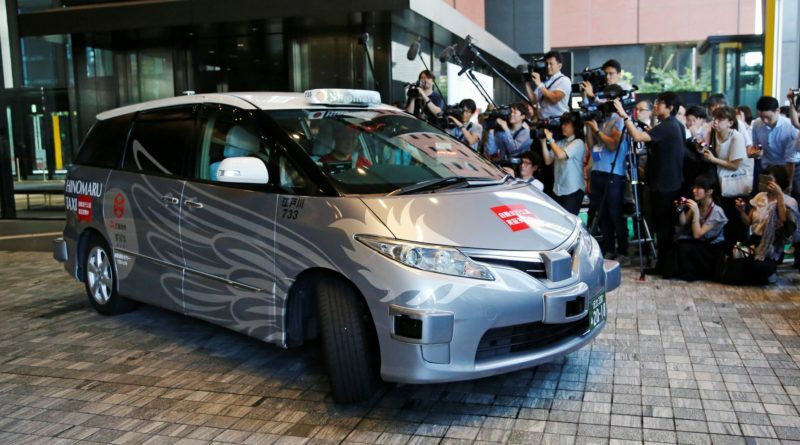 Japan’s quest for self driving taxis is more than just the Olympics. With an aging populace who often have trouble using public transport and a lack of taxi drivers in rural areas, the tech could help citizens travel more efficiently around town. Check out our article about a drone that brings you coffee and one that tells the story about the first robots.